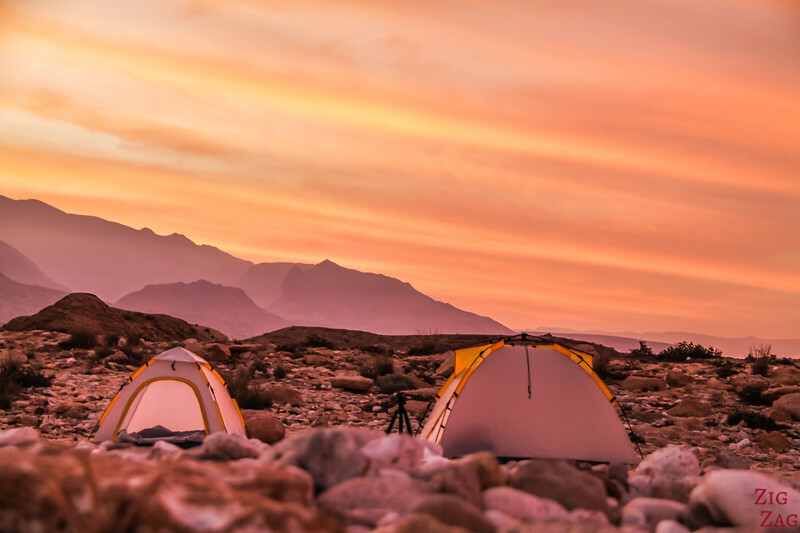 Wild camping in Oman is one of the best way to enjoy nature. The isolation, the silence... you can connect with your surroundings. 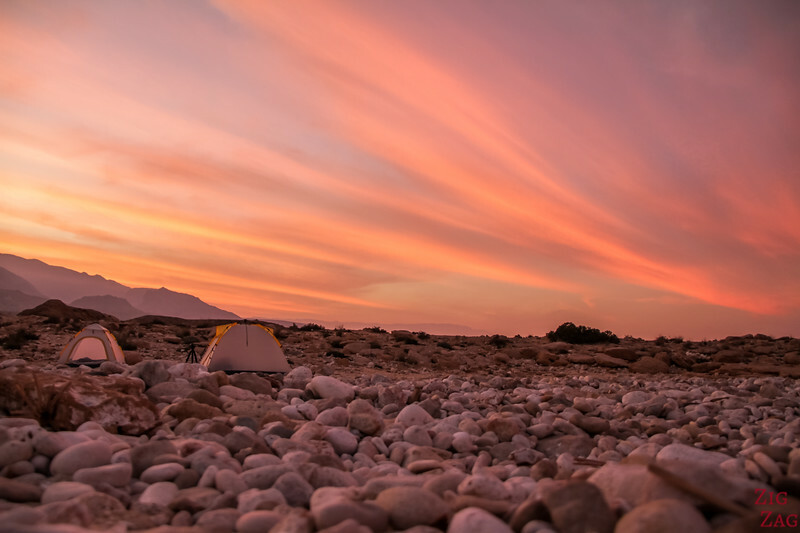 In Oman, wild camping is allowed almost everywhere which can give you memorable nights on the beach, in the mountains or even in the desert! 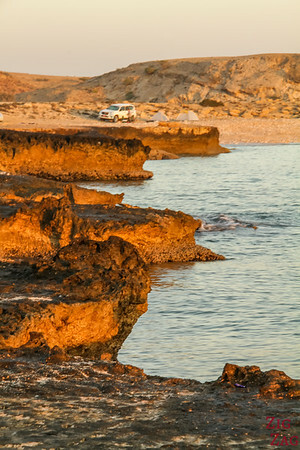 Here are some tips to help you decide wether to camp or not during your road trip in Oman. 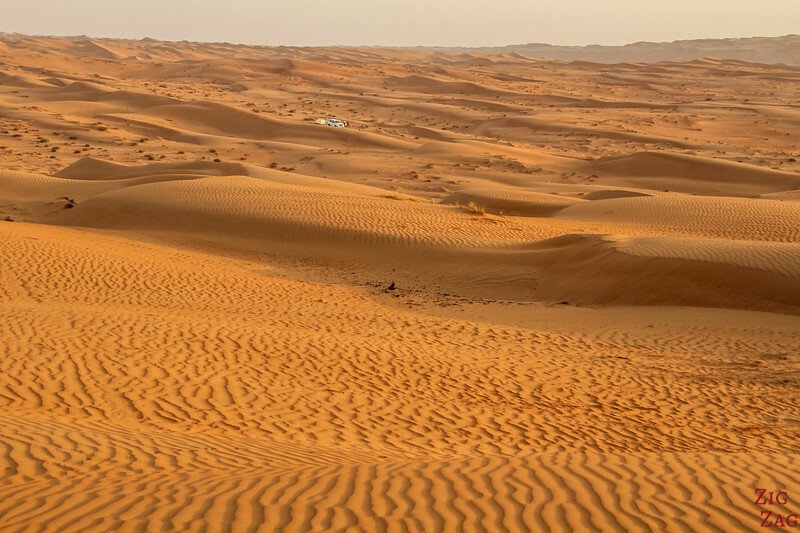 Where to camp in Oman? First of all, Oman is a very safe place in general so there are no problems with wild camping. Locals might come to chat but most of the time you will be alone. Animals are not really a problem. You would be very very lucky to see an arabian leopard!!! The only annoying animals are the goats which are curious. For the mountains, be aware that the ground is rocky and hard, a mattress is recommended​. Plus it can get really cold so bring layers, hat and gloves. Please respect the environment and take any rubbish away with you. Considering you can camp quite freely, this let you free to set up your itinerary the way you want. 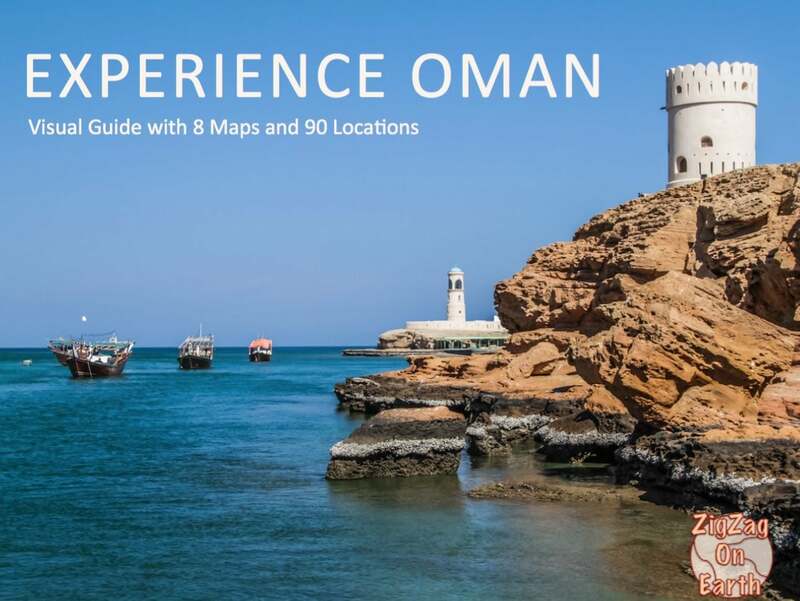 And if Wild Camping is not your thing, check out my Oman Hotels and Accommodations article. My first night of wild camping in Oman, the plan was to stay on the Salmah plateau (4WD access only). However when we arrived to set up camp, it was in the clouds. So we decided to drive back down and find a nice beach to stay. And I am so glad we did! In the comments, Cris recommends the beach of As Sifa. And sunset started displaying amazing colors! The rest of the evening was spent around the fire. 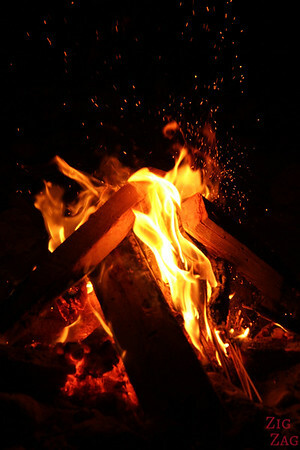 The noise of the burning wood mixing with the noise from the waves crashing on the beach: what a peaceful moment! One of my favorite thing with wild camping is that you can easily wake up early and admire an enchanting sunrise in nature. Look at that one! I was ready from my Hiking and Swimming adventure in Wadi Shab Oman! The second night was as amazing. I was in the sand dunes of Wahiba sands. I am so glad we camped. I saw 2 of the established camps and they were in the wadi between very high sand dunes so I would not have been able to go wander on my own to take pictures. 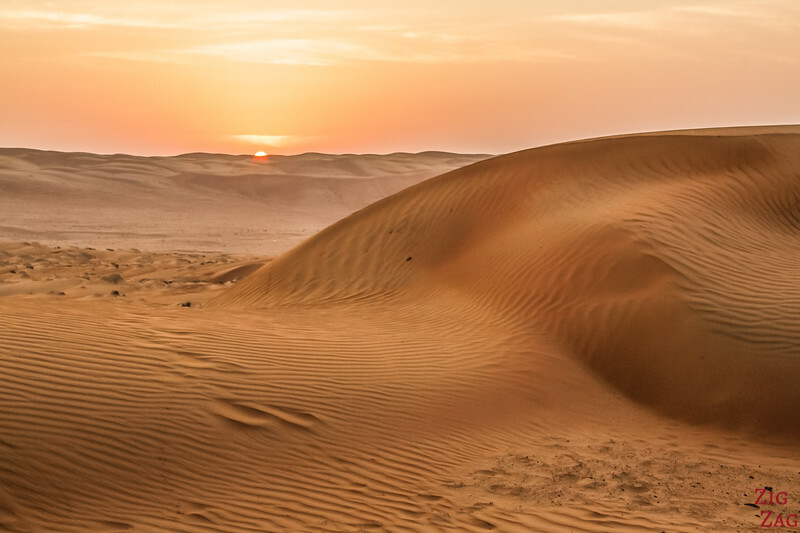 But with our tents set up between small dunes isolated, I was able to wonder at sunset as well as sunrise and be alone with my thoughts, the silence and the sand.​ I am looking forward to sharing more photos from the desert in a dedicated post! 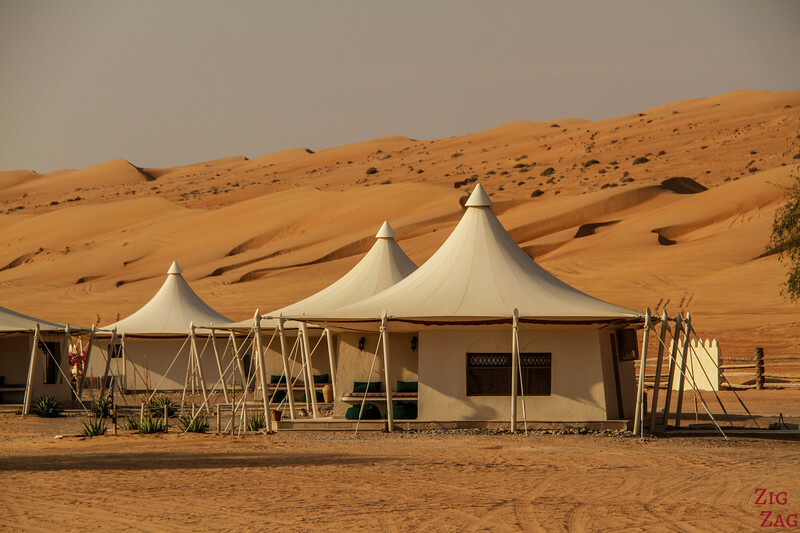 The 2 camps of the Al Wasil Wadi in the desert are: The Desert Nights Camp and the Arabian Oryx Camp. Driving in sand dunes is a very technical endeavour. You should only go if you are trained for it. However note than most car rental companies' insurance do not cover off road driving even with 4WD vehicles. And I started walking away! Do you see the car? And of course, in the morning I woke up early to admire the sunrise! You can camp on the plateau not far from the ridge. But note that you are in altitude. It can get quite windy and cold during the night. So if you want a little bit of protection and access to facilities, the Jebel Shams Resort has a little space for camping tents. Wow your pictures are amazing! Will definitely consider going wild camping when my husband and I go to Oman this year! Thanks Lindsay. It was a blast, I really recommend it. Have a great trip! where do you recommend to camp in sur? I am sorry but I have not camped there so I cannot give you a specific spot. However to the West of Sur is a big plant so not the best. Either go further west near Wadi Tiwi or East / South of Sur but on the cliffs not the beach because of the turtles. Hi, we are planning to go to Oman and also want to camp in the wild. 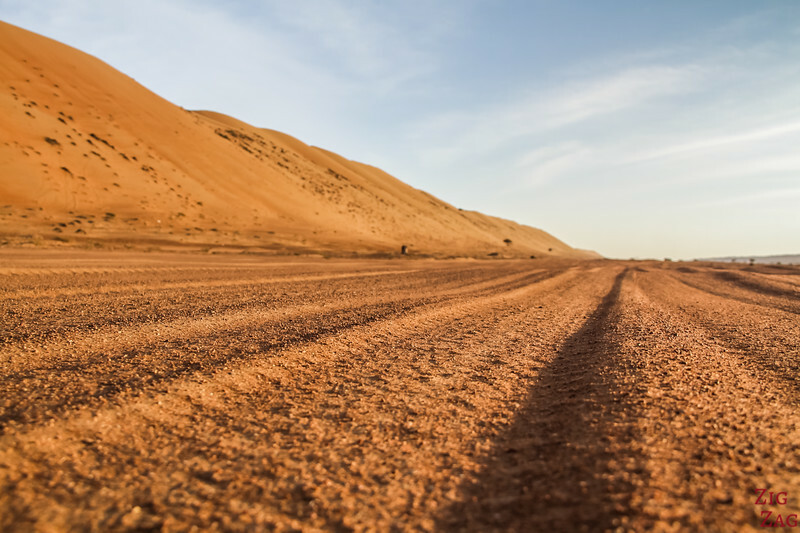 Did you take a 4-wheel-drive when you went to Oman? Is it mandatory to get to the good spots? It is not mandatory as a lot of land in Oman has low density of population even close to good roads. But if you want to reach isolated beaches, a 4WD will give you more freedom. And if you want to go sleep in a wadi (although dangerous if it trains) or in the desert or in the mountains (such as Jebel Akhdar), then it is mandatory. 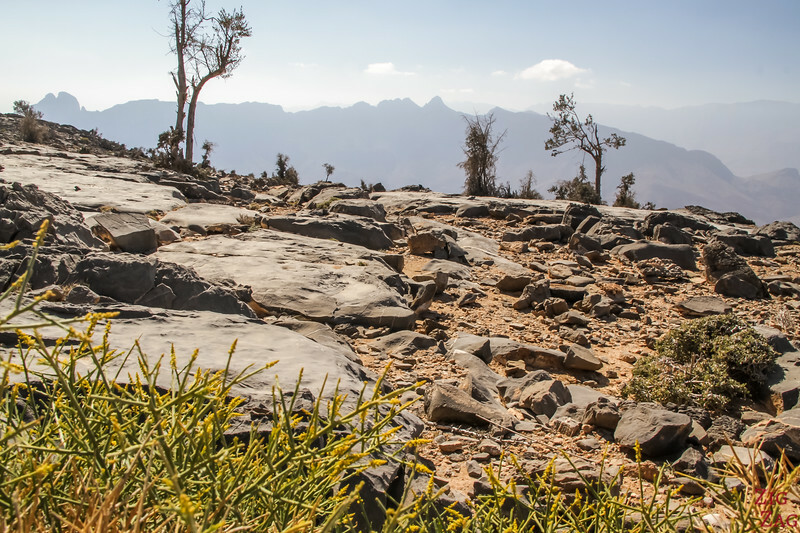 If you’re planning trips up the Hajar mountains eg. Jebel Sham and Jebel Akhdar then you will need a true 4WD (not to be confused with an AWD). Please note at the foothills of Jebel Akhdar there is a police checkpoint to check the suitability of your vehicle. Tip – build up your speed on the flats, using the momentum to ascend and then drop the gears to gain extra torque for the very steep bits and bends. Going down, use 4WD mode, low gear, high torque for a controlled descent. Must have been a wonderful experience and adventure. How many days/nights did you go camping and how many spots did you stay at? Thanks and enjoy your camping trips. I did only 2 nights of wild camping. One in the desert and one at the beach. I wish I had done more though. I met a couple who did their whole holidays camping, changing site every night. They loved it! I also agree that two nights are not enough. But better than nothing! 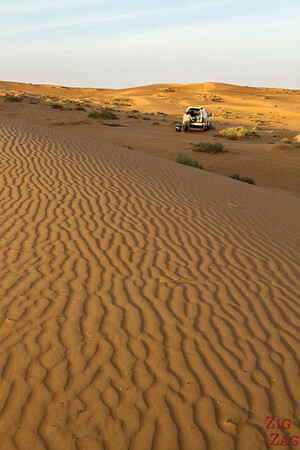 We also enjoy camping and are planing to go to Oman in the winter season. It is a beautiful country and we love the people and their friendliness. Hope you also have a chance to return soon and to discover more and share it with us. hi, 4WD and camping equipment’s for RENT. GPS with camping spots in oman saved will be free with gears. Camping expert guides also available. Please contact for further inquiries. Look at those pictures…it makes me feel so calm! Great pictures and article! 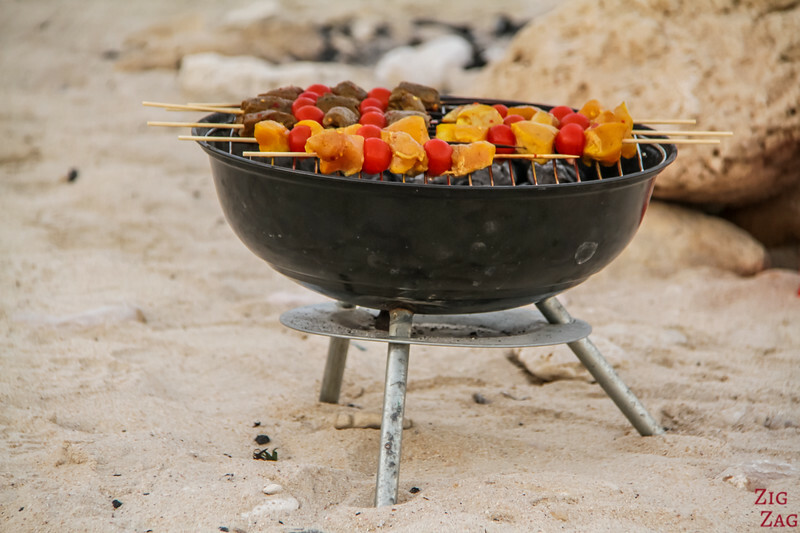 Camping is just amazing in Oman. If u feel in summer hot in Muscat, just drive around 80km after Sur. Its more than enough to get lovely 25c with nice cool wind. Its call Ruwais or Ashkara and down south other amazing places. Well experienced and reccommended. As well we can tailor made your itinerary to wild camping at beaches, desert or mountains. As well camping equipment available. I too want to go camping like you yaar. Its really cool to live life like this and enjoy every movement with your loved once. 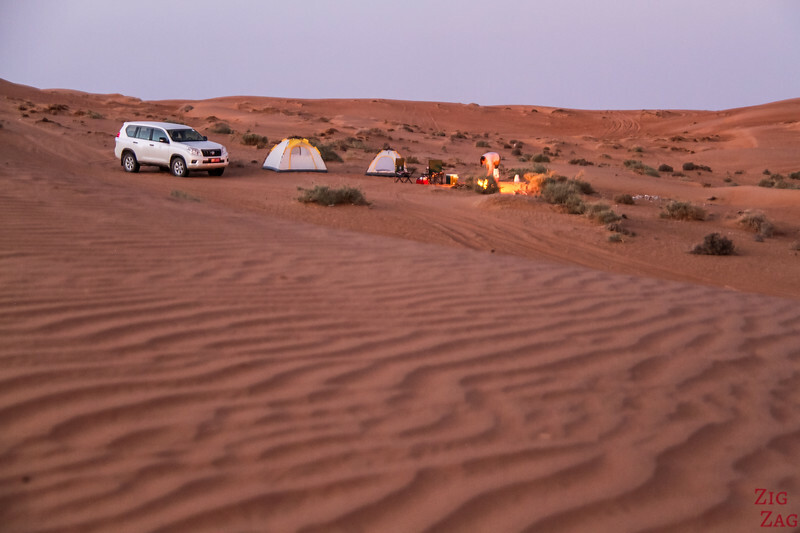 We’re planning on visiting Oman at the end of this year, and can see from your post ‘wild camping’ is the way to go 🙂 Who would you recommend hiring a 4WD and camping gear through? Yes, it is a wonderful way to travel. But I am sorry I have used the equipment of the person I was traveling with, so I have no recommendation for hiring equipment. I met a couple there who did a mixture of bringing some equipment and buying the rest at reasonable prices at the Carrefour supermarket. All I have found online is that Chris from Nomadtours.com do rent equipment (he also runs the Nomad Guesthouse in Muscat). I only found 2 reviews about its rental of equipment. They were both positive. But I have never used them, so I cannot give my personal opinion. Thanks Claire. I’ll have a look at their site as a starting point. I am also planning to go there with my husband in next year. Thanks for the info Cris! great post with a lot of helpful tips and advise. And your photos are awesome. We’ve visited Oman in March and we loved our time there. Beautiful nature, great food and some of the most hospitable locals I ever encountered. I’ve put together a list of beautiful camping spots in case someone needs some further inspiration. Hope that helps to show people how beautiful this country is. Thanks for all your tips, keep up the good work and happy travels. Nice pictures. 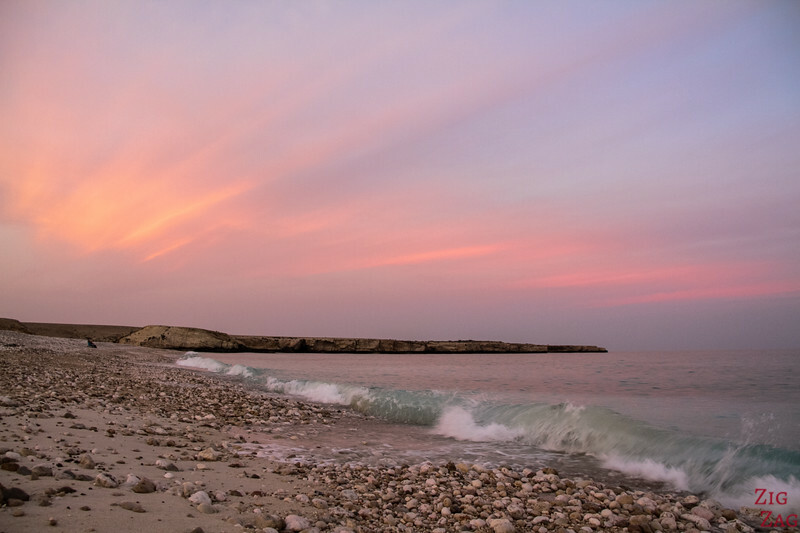 Do you know which month is best for visiting Oman? Thanks in advance. I was wondering my type of camera/ lense (if any) you used taking those photos. As everyone else has noted they are beautiful photos, I hope to capture some nice ones my self. My pictures are taken either with my Canon 7D and a variable lens or with an iPhone. I am sometimes surprised by what I am able to take with the iPhone! I am sorry. Those were not mine, so I have no idea. Hi! My friends and I, (two women) will be travelling to Oman in February 2018. Since we are women, would you still recommend that we go camping? We would love to but as long as it’s safe. Thanks for your article by the way! We were 2 women camping. I personally did not feel unsafe at anytime. On our way to Oman with our new rooftop tent and quite excited! As we did Jebel Shams last year and it was amazing, we will be traying out Jebel al Akhdar this time and hope it will be just as good! WOW! What a bunch of great information. Thanks for taking your time to sharing this post. I think I got a lot of ideas for my next trip. Great information and very helpful! I’ll be traveling to Oman at the beginning of next year (alone; female 31) and really want to go wild camping but a little unsure if this is something I can do by myself. Did you encounter any solo female campers during your trip? Also, did you ladies have guides with you or did you drive through the desert by yourselves? I have not seen any solo female campers. Just one male and couples. 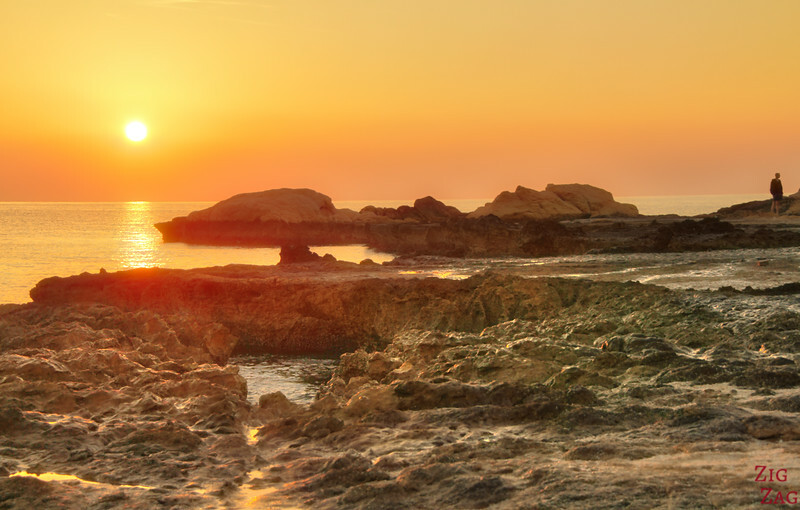 Oman is overall a safe country, but like anywhere else, solo traveler must be careful and smart. My co-traveler was a female local guide. I am going to Oman in 2 weeks time and I might be a little late to buy your book Wild Camping in Oman. Is it possible to buy just ebook? All my books on this website are eBooks only. No paperbacks. You get them as soon as you pay. However note that my Oman book is not at all about wild camping. It is a guide about the best places to see on a road trip, but it does NOT mention locations to camp or hotels at all. I already bought the book, it is even better than I have expected, so thanky you very much!